People, who have cars, for sure often think that basic car maintenance is nothing but a bothering work. If I could have a wonderful car which doesn’t need any maintenance– they often think. But that’s not the case in reality. If we have a car, we must maintain it properly to get proper service from the car. It is a regular case for a car owner to think that s/he doesn’t have adequate time for a car-maintenance checklist. Only refilling gas or oiling the engine regularly is not called car-maintenance. If we don’t take care properly, the car won’t take care of us, it is as simple as the third law of Newton. So there is no scope for neglecting as far as my car is concerned. In this car maintenance checklist, we will show some obvious things you need to do to maintain your car properly without hampering your daily routine.So please go through our basic car maintenance checklist carefully and enjoy comfortable ride each time you drive your car. This is an undeniable fact that brakes are the most important thing while driving. If your car doesn’t start sometimes, it is a problem indeed. But real problem emerges when you can’t stop a running car, especially when it is emergency, suppose someone or something unexpectedly comes in front of your car. Surprisingly, research shows that more than half of the car owners don’t take care of brakes properly. What to do is to keep checking the fluid level because it needs to be changed every time it needs to be. 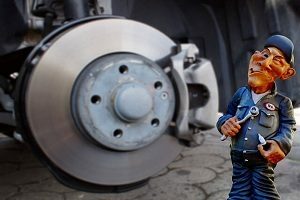 Always concentrate on the condition of the brake-pad and replace them whenever necessary. Usually, after driving every 24,000 miles, fluid needs to be changed and before losing its minimum safe thickness, pads must be replaced. At first one must be careful to ensure enough longevity of tires. Rough driving, improper inflation or expired components are risky for tire. Yet, you must replace tires eventually as everything has its expiration time limit. Many car owners can’t trace the proper time for a replacement. You can do it easily with a tread depth gauge. Sticking a penny may tell warn you on time. Replace the tires when you see the president’s head. Examine the built-in wear bars regularly. Don’t miss replacing tires at the minimum safe tread depth or every 6 to 10 years. As the coolant is usually out of sight, we often forget about it. This liquid in the radiator is really important. It plays multiple roles like as antifreeze and cooler. It also protects erosion or damage to the cooling system. So, this is a higher designated part of your car. Check the level every day, Keep the radiator clean. When you do topping off, mix water and coolant type in proper ratio, which usually is 50/50. Replace the coolant after driving every 24,000 miles or after every 2 years. This is one of the most important things to remember for proper basic car maintenance checklist. Why to care for belts? They keep components (like the alternator and water pump) properly functioning. It also saves valves from coming into contact with pistons. If belts fail, it may create a mess to your car. Your forward progress will be severely hampered. Replace the belts after every 3 years or after driving 36000 miles. 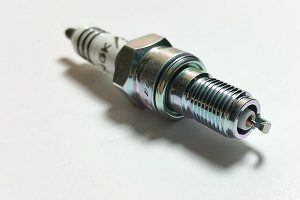 Spark plugs, by firing up the mixture of air and fuel in each cylinder, let you have and internal combustion engine without combustion. If you have a cleaner-burning engine and advanced plug construction, you will have to expend less for maintenance and will have an extended service. So replacing them on time is essential. Otherwise, your mileage may suffer, engines may run poorly and your emission test may fail. Replace them with every 30,000 to 100,000 miles’ drive. In terms of importance and roleplay, fluid is to the transmission what oil is to the engine. It prevents friction and ensures the safety of the things within safe operating temps. If you ignore the issue, it will obviously increase your repair bills. But, prevention is not difficult at all. Checking the fluid every now and then. Check your owner’s manual to know what kind of thing is recommended and change it whenever necessary. It will keep you and your money safe. Replace after every 2 years or 24,000 miles’ drive. Just like the coolant, it is also out of our site, but we must not let it out of mind. Most of the owners don’t give the air filter what it deserves. The air filter keeps the air for the engine and airflow sensor free of contaminants. Look at the owner’s guideline and replace the airflow components like the PCV valve and oxygen sensor. Replace after every 12 months or 12,000 miles’ drive. Proper battery maintenance is more important than we think regarding basic car maintenance. You have to change your battery on time, just keep in mind, whenever you do it, do it right. Only those types of batteries must be used that matches with your manufacturer’s recommendation. You should look for upgraded and advanced-technology batteries. Initially, they will cost much but will ensure extended services. Though we often forget about it, pay proper attention to it. It lubricates the whole system and helps remain the steering consistent. Check the fluids periodically. Use only manufacturer’s suggested fluid. Whenever you feel difficulty in turning the wheel, be aware of Power-steering fluid. Inspect level with every engine-oil change, top off as needed. 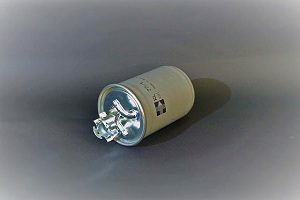 Probably, a fuel filter is the most neglected part of a car, but it is one of the parts that need the most attention. Whenever your ignition is on, and the fuel pump is active, it prevents impurities from clogging infectors. So check it regularly. Replace after every 2 years or 24,000 miles of drive. After all, consult your manufacturer if any other issue arises regarding car maintenance. Proper car maintenance checklist presented here are the basics applicable to all. But for any specific inquiry, consult the proper guideline, especially those provided by a specific manufacturer for specific cars.